a university ship that goes around the world every semester (“Semester at Sea”), and he will be teaching in a summer program in St. Petersburg, Russia, at the end of this summer. He is currently a professor of writing and rhetoric at the State University of New York in Stony Brook. He received his master’s degree from Oxford University in the United Kingdom and a doctoral degree from Yale University in the United States (after having received his bachelor’s degree from another prestigious American institution, Notre Dame). He has been Chair of the English Department and has directed the Writing Programs both at the University of Maryland and at SUNY Stony Brook where he now serves. 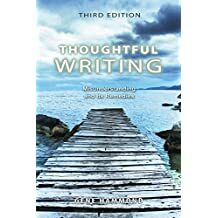 He has conducted numerous workshops over the years on how to write and communicate effectively for judges, business management students, and scientists across the country.He is the author of a textbook, Thoughtful Writing, co-author with Chen-liang Sheng of an English-as-a-Second-Language text, Travels through the English Sentence, andauthor of a two-volume biography of Jonathan Swift, author of Gulliver’s Travels. He brings to his talk today the intellectual perspectives from English Studies and Writing Studies and Rhetoric, and professional experiences from academic administration and various other professions along the way–not to mention his international teaching and collaboration, research and scholarship engagements. We are truly excited about the opportunity to hear Prof. Hammond’s historical perspectives about research and higher education in Europe and the United States, a talk that will open up conversations about the same issue for the advancement of higher education in Nepal.